Long-time Giants key defender who will provide the Hawks with some key defensive depth in 2019 and allow the likes of draftee Jacob Koschitzke to develop properly. Deceptively quick and agile, his experience and knowledge will also be important at VFL level. Previous AFL club: GWS Giants (2012-18: 48 games, 1 goal). 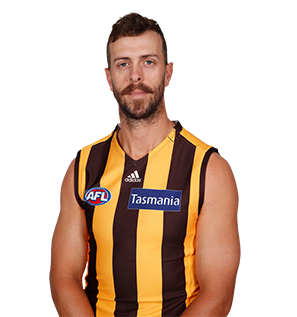 Draft history: 2011 previous draft nominee (GWS Giants); 2019 Rookie Draft selection (Hawthorn) No. 37.